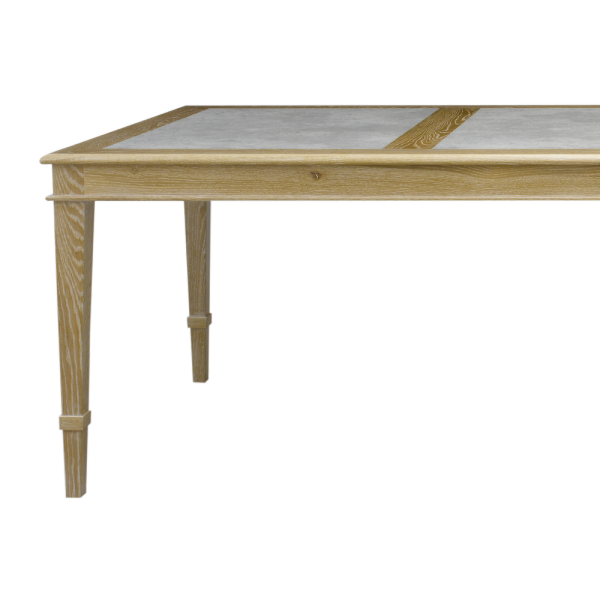 The Ceruse Stone Dining Table has beautiful soft toned inlayed stone tops. 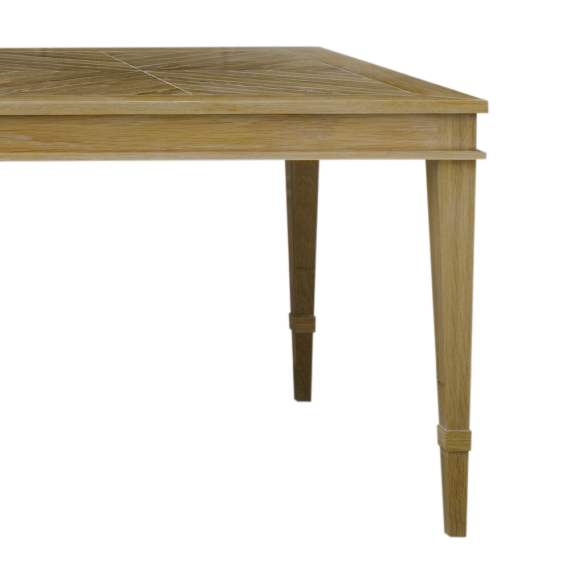 Often we only have one table inside that functions as a casual dining table, family dining and formal dining area. 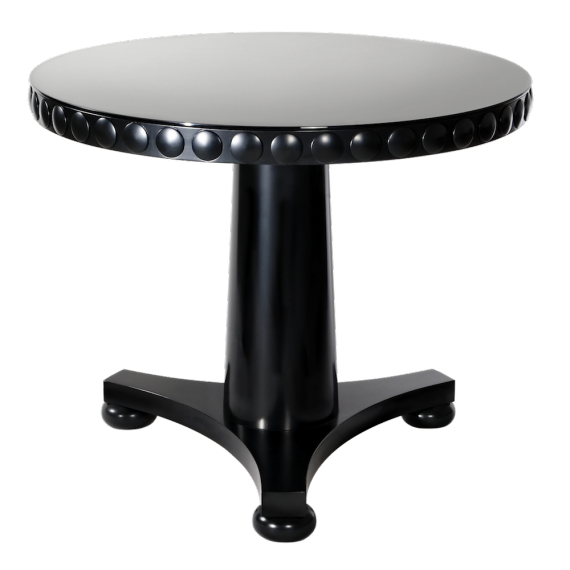 The stone tops allow the table to be both quite relaxed and elegant for your formal dinner parties. 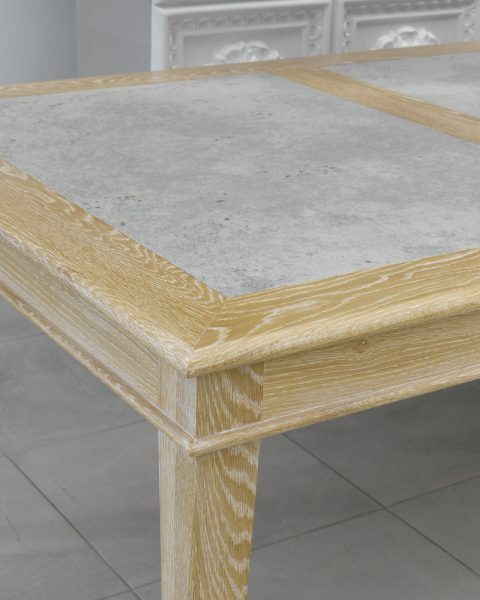 The strong material and contrast of textures in the timber and stone allow it to be used as a practical table, with the option to look more sophisticated. The material creates a softer look, with an accentuated look and liming. 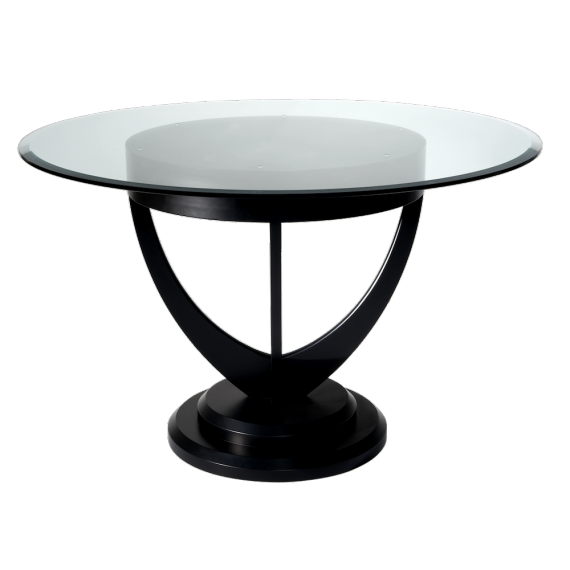 Edges are rounded for a more modern classical look in a contemporary style. 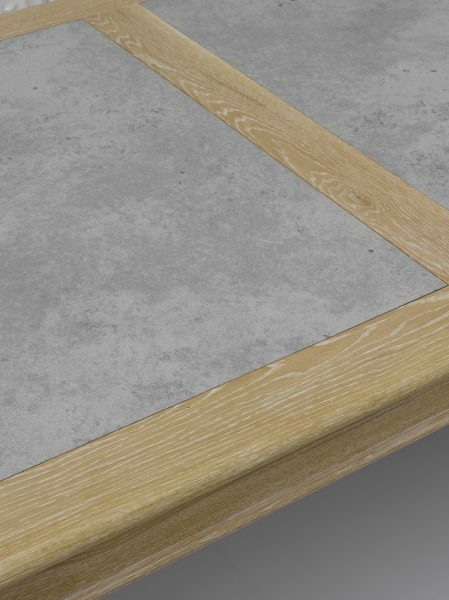 The details in side rails and the cupling create a bit more character to the table. The Ceruse Dining Table is also available with square detailing and a Herringbone design. Custom sizing and materials are available to suit your individual style and home.